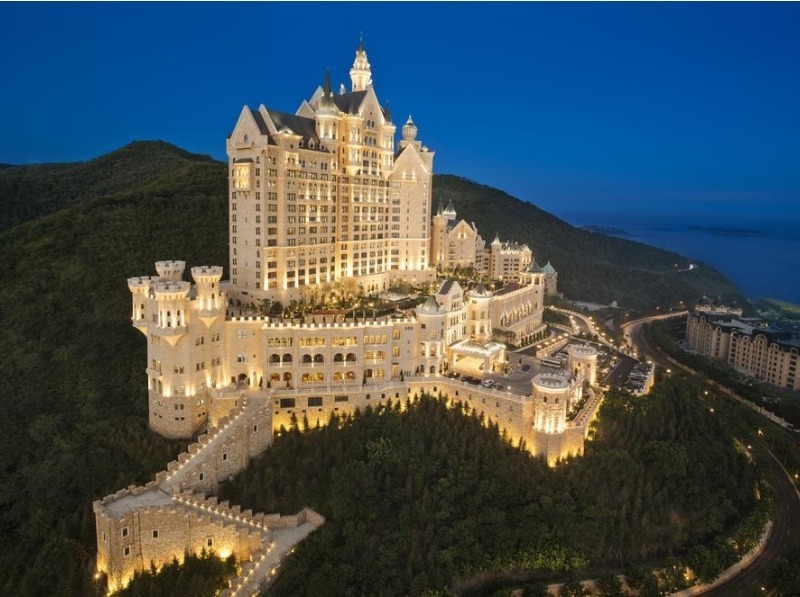 Once upon a time, Northern China was devoid of Bavarian-style fairytale castles. Then, in 2014, all that was set right. 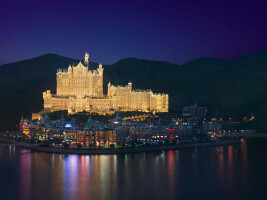 The 5-star Castle Hotel in Dalian was opened to the world. This is a castle that truly looks like something Disney dreamed up — to the power of ten. You’ll be swimming in luxury. No really, we mean that literally: there’s a 450 square-metre indoor pool and a 2,000-square-metre luxury spa. 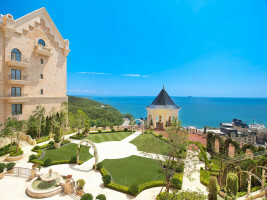 Want Even More From Your Fairytale Castle? The towering hotel complex sits amidst the lush green foliage of Lotus Mountain, with sea views sweeping around it. Inside there’s gourmet dining, plush bars, breathtaking lounge areas and of course elegantly decked-out rooms and suites. Dalian is also known as a ‘The City of Romance’ and for being China’s most liveable city, so there’s much to do and see in the area, as well. So book in now and start planning your fairytale adventure. Better to be King or Queen for a day than the fool who missed out for a lifetime.